I have to admit, I went to Lodi Wine Country knowing very little about the region and its wines. As someone who works in Woodinville Wine Country where Washington State wine is the main commodity, the local wines are what often grace our table. Nevertheless, an ongoing intrigue with wine encourages me to explore other regions. So, when the opportunity arose to visit the California region of Lodi during the 2016 Wine Bloggers Conference, I took it. Today, I’m a big fan of Lodi wines. There are so many diverse and unexpected varieties grown there and the vineyards are pretty special, with most abiding by the strict Lodi Rules for sustainability. And the quality of wine? Remarkable for the price. The signature grape of Lodi is, and probably always will be, Zinfandel. And there’s nothing wrong with that! But did you know there are over one hundred other varieties produced in Lodi ready to join the party? And what a party it is — with old world varieties from France, Spain, Italy, and Germany all represented! Being a trail blazer and introducing diverse varieties in the region was a tough road to travel. When Markus Bokisch was the first to plant Graciano in California, the original bottling had to be characterized as “red table wine.” The TTB, who reviews all wine labels for approval, said the variety didn’t exist on the list of approved grapes. Thankfully that has since changed. So what do new, exotic-sounding wines cost? If you’re looking for great quality relative to price, Lodi wine is an incredible value. Most are sold in the mid $20 price range – some for even less. When visiting Lodi, the steepest price point among the wines I favored was $40. So, if you’re looking for something adventurous (and something beyond Cabernet Sauvignon) at a fraction of the price, Lodi is the place to find it. Lodi is also all about multi-generational farmed family wineries. Many of the vineyards have been farmed since the 1800s and passed down from one generation to the next, including Harney Lane, Lange Twins, and Klinker Brick wineries. With estates that old, that means there are incredible gnarly looking old vines producing deeply concentrated fruit. This is the main reason the Lodi Rules for sustainable practices have been put into place. I don’t know why Lodi wasn’t on my radar before. With over 100 grape varieties, incredible quality for the price, remarkable vineyards, and sustainable growing practices Lodi wines bring a lot to the table. So all this week, we’re going to be taking a close-up look at the nitty-gritty details that make Lodi a special piece of California wine country. Nancy Croisier is an enthusiastic advocate for exploring the world of wine. 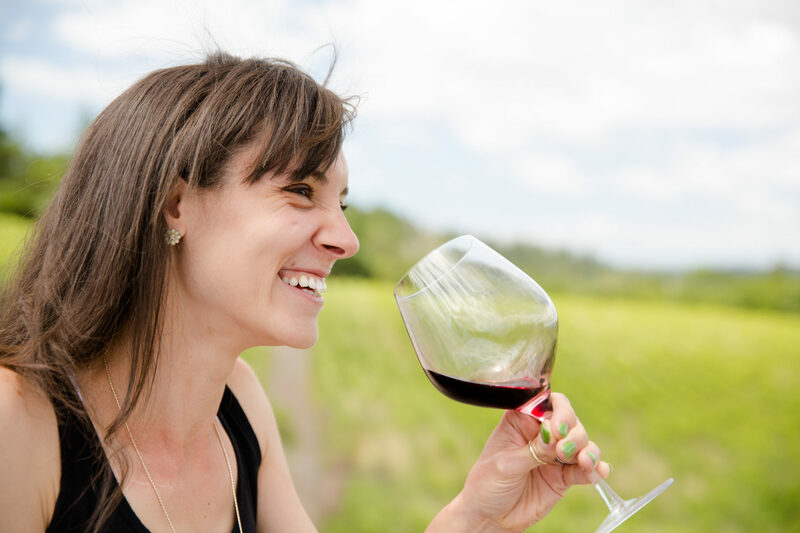 She holds the prestigious designation of Certified Specialist of Wine (CSW) from the Society of Wine Educators, and has graduated from the Northwest Wine Academy with expert training in wine sales and marketing as well as wine and food pairing. She specializes in bringing wine brands and consumers together. Follow Nancy’s wine and food adventures on Twitter and Instagram: @NancyFeasts and explore more wine discoveries on her website Wine and Beer of Washington State. Great post Nancy! I also had my opinion of Lodi changed thanks to the WBC16. My eyes are now wide open and my palate craving Lodi! Also big fans of the Lodi wineries. Recommend Pondl and d’Art wineries too! Big flavors in small wineries. Nice post! Thank you for the nice comments everyone, I am honored that Stacy featured my articles on her site all week!